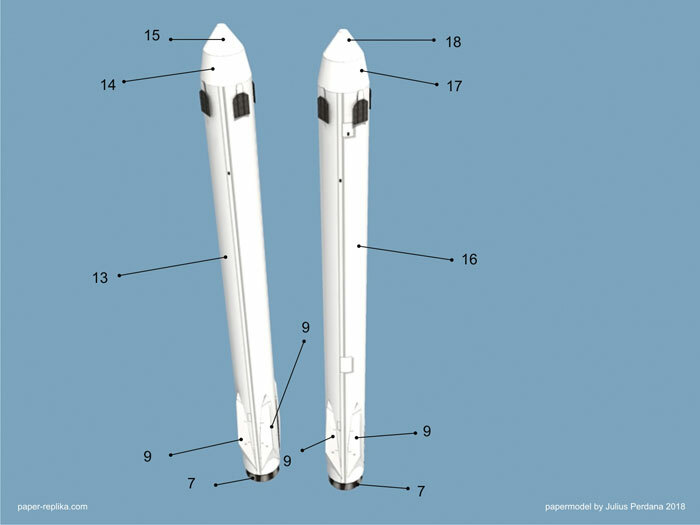 SpaceX Falcon Heavy Papermodel	. 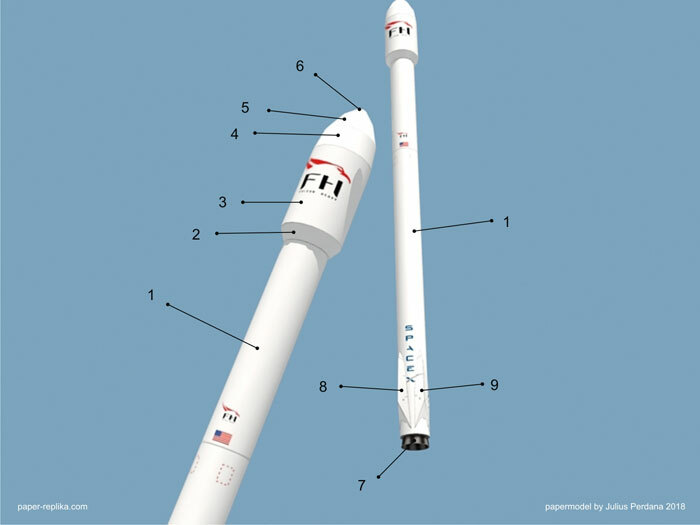 Four Days ago on the evening I went to 9GAG and saw a post about a successful launch of Elon Musk's SpaceX Falcon Heavy. I realized it was not so late, so search on Youtube and find the live video, but just to found out it's already a replay. 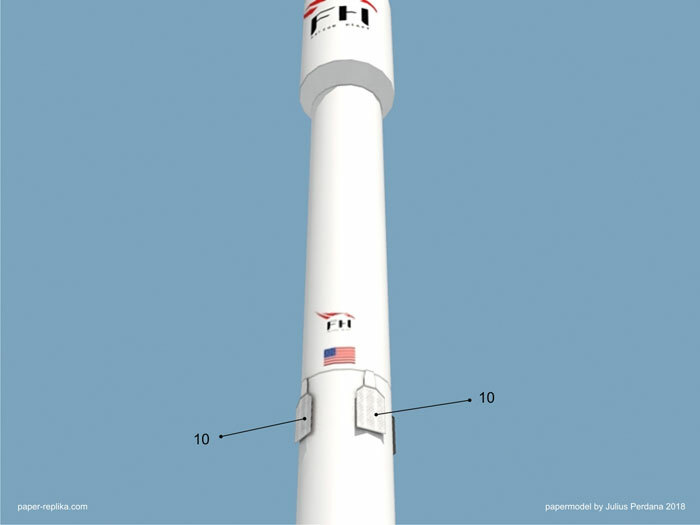 I watched it and got goose bumps on my arms when I saw the two boosters landed smoothly, just like in some scifi movies, it was awesome. I can imagine what were people anticipating when watch that video on live, it must have been a thrill. I closed Youtube and began to research images and dimension data to begin design that rocket. 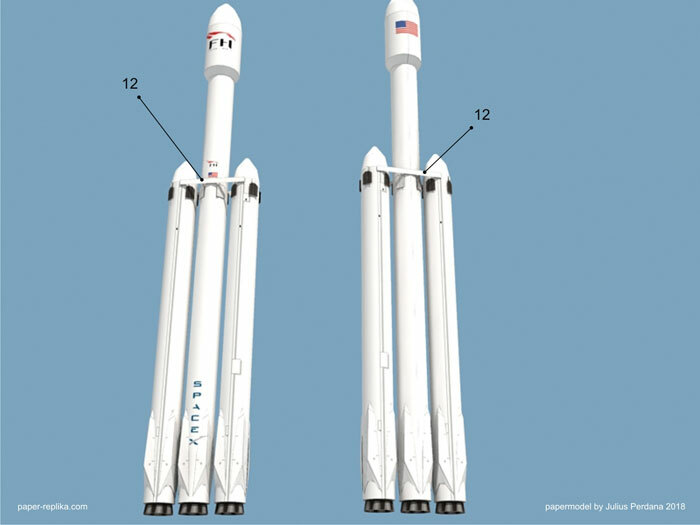 I found an image about Falcon Heavy size comparison with some famous rockets and a Saturn V rocket. I already made Saturn V in 1/300, so I use Saturn V scale to be use on Falcon Heavy. The template is best to be printed on 100 to 120 gram paper. Because the model is small I reduce some details, the real one has 27 individual cone exhausts, with 9 exhaust each rocket, but in this 1/300 I had to simplify it. All the build photos were made using 100 gram HVS paper. You can have 1/00 model for $5 that you can buy on the link below. I also made a slideshow video on Youtube. like and subscribe please :).